We are offering PVC Cable Making Machine to our clients. 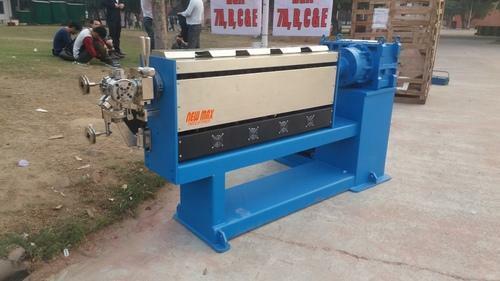 Established in the year of 1993 in Delhi, New Max Industries is a well-known Manufacturer of quality industrial products with specialization in Pipe Extrusion Machine, Bunching Machine, Metal Spools, Cable Making Machine, Cable Extruder Machine, PVC Pipe Making Machine, Screws Barrels, PVC Pipe Making Plant, Pay Off Take Up Machine and much more. Through an offered range of products, we strive to enhance the business efficiency of our clients as these products are used in further development of various products. With long years of experience and knowledge in the industry, the organization becomes familiar with its clients and their product requirements that are fulfilled with high satisfaction. Presently, we are in association with the large pool of worthy clients belongs to different market segments.